Dr. Greg Millar DC CCEP would like to invite you to one of our Free* Seminars/Talks. He and the other Millar Doctors talk weekly on topics like "Treating bulging and herniated disc without back surgery", Lasers, Low Back Pain, Neck Pain, Headaches & Migraines, Sciatica, Facet & Stenosis Pain and more." All seminars are Free* to the public. Please attend as our guest. 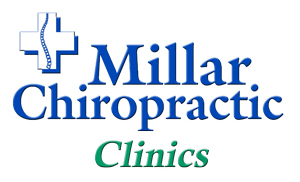 Most seminars are held either in the clinics or in beautiful downtown Huntsville at Millar Chiropractic - Huntsville (Williams Ave) Community Room. Call Today or go online and reserve your seat. We are located in Park Plaza across the street from Big Spring Park and the Huntsville Museum of Art in the medical district Huntsville Alabama. Free* - Seminars and talks are free. All other services at regular prices. Some persons or insurances are not allowed to receive free services. If that is the case with you then this does not apply.